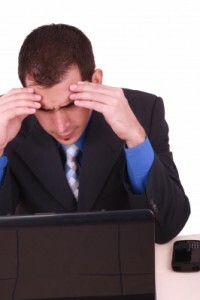 As an employer, one of your biggest nightmares can be issues involving your employees. Many can be legal in nature. For any legal ramifications, you’re advised to seek qualified legal help. “Action expresses priorities,” said Mohandas Gandhi. So you should act quickly. The following information is designed to give you an overview about workplace investigations so you know what to expect. There can be many reasons to conduct an investigation. Workplace investigations are necessitated by negative employee attitudes, discrimination complaints, harassment complaints, alcohol or drug abuse, violation of workplace rules, embezzlement or theft, safety issues, bullying and vandalism or other sabotage. Of course, each of the above reasons is unique and warrants different ways to investigate. But there are commonalities for which you should be aware. The first of which should be to comply with all federal and state laws. An investigation must be fair and objective. It must be comprehensive but conducted as quickly as possible. It must discover the underlying causes, ascertain the facts and lead to solutions. While you have some leeway, be careful. Your employees are entitled to keep confidential information about themselves and their families, and should not be wrongly accused. All personal information should be released on a need-to-know to a specified party. So there should be separate files. General personnel files containing the job application, an offer letter, performance appraisals, and memos of commendation. Medical files must be separate from the general personnel file such as workers’ compensation and pertaining information that concern the Family and Medical Leave Act (FMLA). I-9 files for national origin or citizen information. Safety files for examination by OSHA auditors. Grievance and investigation files because they very likely have information that should remain confidential. Your investigations must be both prompt and thorough. Your efforts must be documented. A complete paper trail is in order. Acknowledge an investigation is warranted. Determine the objective – what your investigation will establish. Depending on the situation, select a credible HR investigator or legal firm, especially in case the situation evolves into a lawsuit. Identify the likely documents and witnesses. Plan your list of questions to ask the witnesses. Develop and establish appropriate security for your files. Be flexible – fine-tune your plan as needed to allow for unforeseen information. Finally, in some cases, it might be necessary to brace for possible press coverage, which would mean you need to perform crisis management. How to avoid EEOC Discrimination Suits — Federal employment discrimination complaints are sky-high — a sad commentary for businesses and public agencies that are large enough for a human resources department.